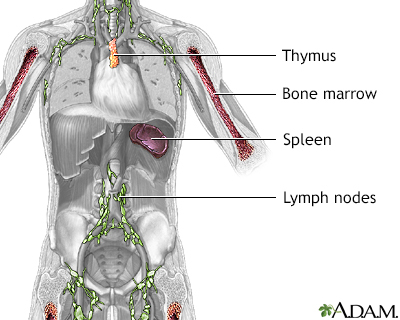 Acute lymphoblastic leukemia (ALL) is a fast-growing cancer of a type of white blood cell called a lymphoblast. 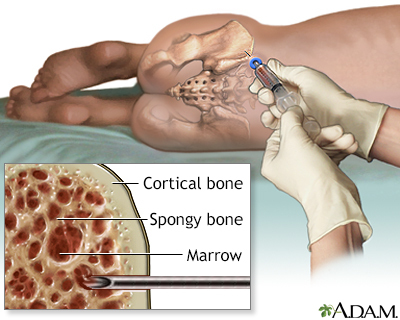 ALL occurs when the bone marrow produces a large number of immature lymphoblasts. 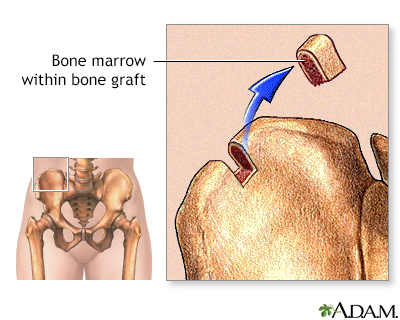 Bone marrow is the soft tissue in the center of bones that helps form all blood cells. 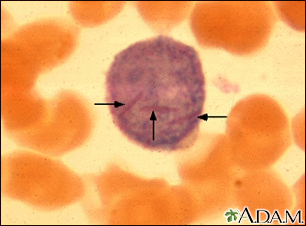 The abnormal lymphoblasts grow quickly and replace normal cells in the bone marrow. ALL prevents healthy blood cells from being made. Life-threatening symptoms can occur as normal blood counts drop. Most of the time, no clear cause can be found for ALL. This type of leukemia usually affects children ages 3 to 7. ALL is the most common childhood cancer, but it can also occur in adults. These symptoms can occur with other conditions. Talk to a health care provider about the meaning of specific symptoms. The provider will perform a physical exam and ask about your symptoms. Tests are also done to look for changes in the DNA inside the abnormal white cells. Certain DNA changes may determine how well a person does (prognosis), and what kind of treatment is recommended. The first goal of treatment is to get blood counts back to normal. If this occurs and the bone marrow looks healthy under the microscope, the cancer is said to be in remission. Chemotherapy is the first treatment tried with the goal of achieving a remission. The person may need to stay in the hospital for chemotherapy. Or it can be given at a clinic and the person goes home afterward. Chemotherapy is given into the veins (by IV) and sometimes into the fluid around the brain (the spinal fluid). Those who respond to treatment right away tend to do better. Most children with ALL can be cured. Children often have a better outcome than adults. Both leukemia itself and the treatment can lead to many problems such as bleeding, weight loss, and infections. Call your provider if you or your child develops symptoms of ALL. The risk of developing ALL may be reduced by avoiding contact with certain toxins, radiation, and chemicals. 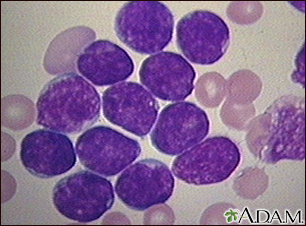 This picture shows the darkly-stained lymph cells (lymphoblasts) seen in acute lymphocytic leukemia (ALL), the most common type of childhood leukemia. The immune system protects the body from potentially harmful substances. The inflammatory response (inflammation) is part of innate immunity. It occurs when tissues are injured by bacteria, trauma, toxins, heat or any other cause.